Active Ingredients: Cuprum Metallicum 6X HPUS (0.05%), Magnesia Sulfate 6X HPUS (0.05%) (The Letters HPUS Indicate That the Components in This Product are Officially Monographed in the Homeopathic Pharmacopea of the United States). Inactive Ingredients: Citric Acid, Docusate Sodium USP, Guaifenesin, Isopropyl Palmitate, Lecithin, Phenylepherine, Polysorbate 80, Sodium Benzoate, Sorbic Acid, Urea, Water. 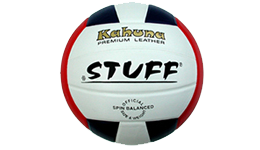 Park & Sun – grass volleyball system rental: $40/day, $70/weekend. We drop-off, you return by 10am the next day. On-line pre-payment required or cash on delivery. You have to produce a credit card upon delivery. If the system is not returned we charge you $500 on your credit card. 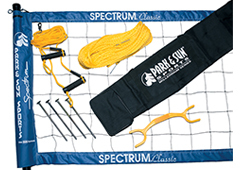 The Spectrum™ 2000 Professional level volleyball net system offers great performance and is a snap for quick set-up and portability. 1-3/4″ two-piece telescopic aircraft aluminum poles with push-button locking systems for three easy height adjustments (men, women, and coed play). With a 3’x32′ slip-on net designed for maximum “ball-out-of-net-play.”, and 1/4″ pull-down guy line system with tension rings and the 10″ steel ground stakes provide maximum tension and quick set-up and adjustments. This system also includes a pre-measured boundary with corner anchors, a boundary cord winder, and the equipment bag completes the set. Premium Leather. Official Size and Weight. Premium Leather Cover. Reinforced Polycoton Liner. Floating Butyl Bladder. Size: 65 – 67cm. Weight: 240 – 260g. The Marathon (“Sprinter”) Stick is an easy-to-use device designed to massage muscle tissue. It encourages increased circulation to muscle fibers before exercise, diperses lactic acid after workout and diffuses muscle stiffness and knots. The Marathon Stick has the flexibility to massage all muscle groups of the body: neck, shoulder, back, leg, calf, hamstring, etc. 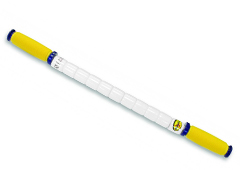 The Marathon Stick G-2000 is 20″ (51 cm) long, has 10 spindles with a yellow handle and is 6 oz (.33 kg) in weight and can easily fit into a larger purse or small sports bag. The sturdy plastic composition allows for easy cleaning so you can share your stick with family and friends. 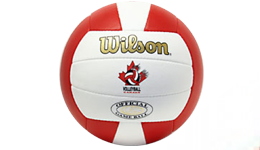 Used by volleyball, tennis players & multi-sport athletes. Hand Held Scorecards – multi sport. L x W x T – 11 1/2″ x 9″ x 1/2″. 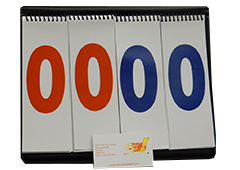 4″ tall laminated numbers. Deluxe exterior binder, exterior plastic insert for advertisement. $40 each, $30 to institutions, or $25 each if you buy 8 or more. Shipping not included. (discount refunded at time of pick-up / delivery / payment). SandSkins breathable LYCRA tops & NEOPRENE cushioned bottoms & textured grip surface will give you maximum protection against the scorching HOT sands of summer & the COLD sands of winter. 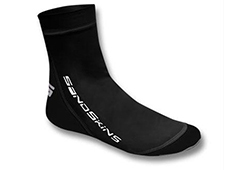 Increased toe line for comfort & protection. Extended heel for extra comfort & fit. Triple locking flatstitch for durability.